Four years ago I wrote an article about a radio production of Dickens' Christmas Carol that my father constructed in our hometown back in the 1940s. He had based his presentation on an RCA Victor set of 4 12" 78 RPM records of the story, produced by famed radio personality Ernest Chappell in 1941. Nothing I've ever written has yielded such a prolonged response. Google still carries it and eventually Wikipedia picked it up in its entry about Chappell. Each year I get requests from people in at least the English-speaking world for CD copies of that old RCA release, which of course is long gone in its original form (although EBay sometimes offers one I understand). In my original essay, I offer to make a copy for anyone---and that offer still stands. In honor of radio drama and all the actors who made a living in that unique format---and who had such a huge impact on my life---I've decided to re-post the article...and some of the comments that have appeared since. My main motivation is the interactions with those people who want a copy, and the stories they tell of how much this production meant to them and their families. Hopefully the search engines will be reinvigorated and other people will get some answers---and maybe provide more! Tag-line: "It's all about flights of fantasy. And the nightmare of reality. Terrorist bombings. And late night shopping. True love. And creative plumbing. It's only a state of mind." "I spent three days searching the Internet for articles and websites about disinformation, 99 out one hundred sites were communist propaganda about so-called conspiracy theories, and only one site was moderate in its approach. Nowhere I could find references to the most deadly weapon used by the old Soviet Union to weaken the US and discredit American Institutions for over four decades: the KGB disinformation war. After September Eleven, for a brief moment, the patriotic spirit, spurred by that tragedy and pain, cleared the minds of media reporters, politicians and most of the public. Now the constant repetition of well-designed lies, contorted logic, and half-truths is clouding the minds and the judgment of many, including many prominent people. The Internet is becoming the platform where lies can be multiplied and spread like highly infected viruses. Its primary target hosts: younger people. Being an emotional triggered program, its easiest hosts: people with emotional imbalance such as, resentment, fear, hate, and frustration. The new Department of Home Security should try to install confidence and peace of mind, and not fear and uncertainty. Even the economy can work better only if surrounded by confidence and trust, while fear, lack of trust and insecurity can only bring depression… as in the Great Depression. But the root is the same: brainwashing through highly emotional issues, and constant repetition of simple intellectual concepts." Now you know and you have been warned. Britney Spears said it best, remain confident and trust in our President. Have you heard about the secret: Do not add to the negative energy. The individual becomes perfect when he loves his individuality in the all to which he belongs. Playwright Harold Pinter in a rare appearance at the Orange Word Screenwriters Programme, at the British Library, in 2004. I've been helping a friend launch a new endeavor that I am excited about. I have been a big fan of her sculpting and recently, after some research and some design considerations, we can finally break out of the mold, literally. 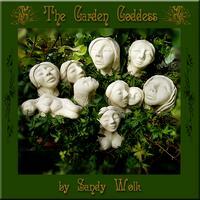 The Garden Goddess is a line of ornamental art designed to enhance potted plants and gardens while offering empowerment and inspiration through the messages and stories of goddess mythology. 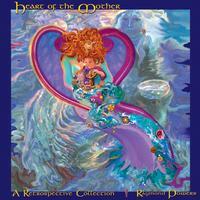 Each figure represents a particular Goddess taken from ancient Greek or Nordic mythology. Each comes with a card that reveals her unique story, as well as an inspirational message to support us in our daily lives. Also, if you are interested in Neolithic Goddess symbology, you can visit my Ceremonial Gourd Rattle site. I have been creating these for a few years now and have really enjoyed sharing these ancient images based on Marija Gimbutas' research. 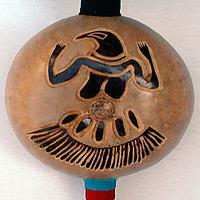 The images are carved and woodburned onto gourds and represent cultures from 1500-5000 B.C. An intense love of solitude, distaste for involvement in worldly affairs, persistence in knowing the Self and awareness of the goal of knowing---all this is called true knowledge. I have reason to believe and report to you that the disappearance of the art form and social occasion known as the dance band now is complete. It has been the duty of my generation in America to preside over this evolution, and I have embraced it lovingly hoping hard and often I would not witness extinction. The final struggle took 50 years, which is not long in social or species history---but of course nearly a lifetime for this man. I have evidence, however, it has breathed its last.